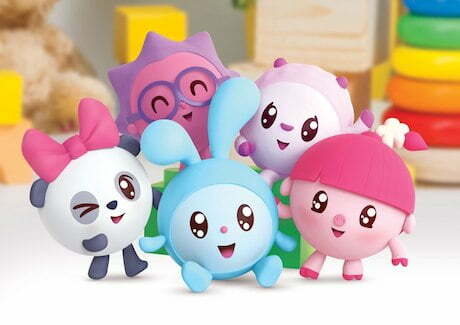 UK broadcaster ITV has acquired a Russian cartoon from Hong Kong-based distributor Fun Union for a new preschool programming block on its digital channel ITVBe. BabyRiki (104×5′) will air as part of female-skewing ITVBe’s newly created weekday morning preschool programming block littleBe from September 3. The series aims to help preschoolers learn through play and introduces age-appropriate learning concepts, illustrated with a song to help the viewer absorb and process through kinaesthetic learning, Fun Union said. “It is a fun and visually outstanding show, and an excellent addition to our growing slate of new preschool content on littleBe,” said Darren Nartey, ITV’s programme acquisitions executive. The show is also set to be made available in North America via kids’ on-demand services Kabillion and PlayKids. In Asia, Hong Kong-based Now TV, PCCW Media’s pay TV platform, has also acquired BabyRiki. PlayKids, the SVoD app backed by Brazil-based Movile, has also picked up the series KikoRiki and PinCode from Fun Union for its North American subscribers. “The new titles have been selected by our team of curators, and will provide content aligned with the concepts of cognitive development, education and learning that we advocate across all platform products,” said Fernando Collaço, head of content management for PlayKids.